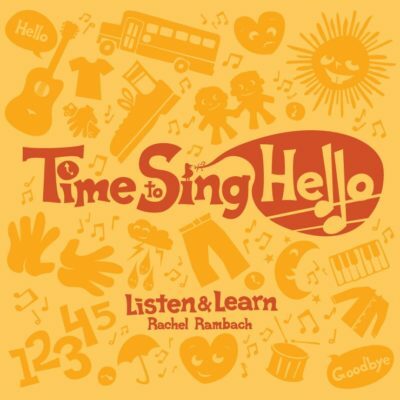 Download the lyrics, mp3 and instrumental track for “The Warm-Up Song” written and recorded by Rachel Rambach, a board-certified music therapist and singer/songwriter. My sleepy morning students inspired this particular song, because on more than one occasion, I’ve walked into a room full of little ones who look like they’re not quite awake yet. “The Warm-Up Song” can be done either sitting or standing, depending on the ages and mobility of your students or clients. I included a few different body parts in my recording, but I like to ask the group which body part we should warm up next, and let them determine the kinds of movements or stretches they want to do. By introducing this song at the beginning of my sessions, I’m able to get the energy flowing early on, which helps to fuel the rest of the songs to follow. Not to mention, we get to practice naming those body parts and get the creative juices flowing while coming up with all kinds of inventive warm-ups.